Thanks to Reindeer in Here for providing me with product in exchange for my review. All thoughts are my own. It may not be looking a lot (or even a little) like Christmas right now, but everywhere I look, there are signs that Christmas is coming! Though I may not quite be ready for the holidays, I am already making holiday lists and plans, including the wonderful holiday traditions I enjoy participating in with my family. Our first holiday tradition begins the day after Thanksgiving, and this year, we'll be joined by a brand new friend who will help us kick off a very special new tradition for the whole family. Reindeer in Here is the perfect holiday tradition for every family! If you're familiar with Christmas traditions like elves on selves and such, you're going to love Reindeer In Here. 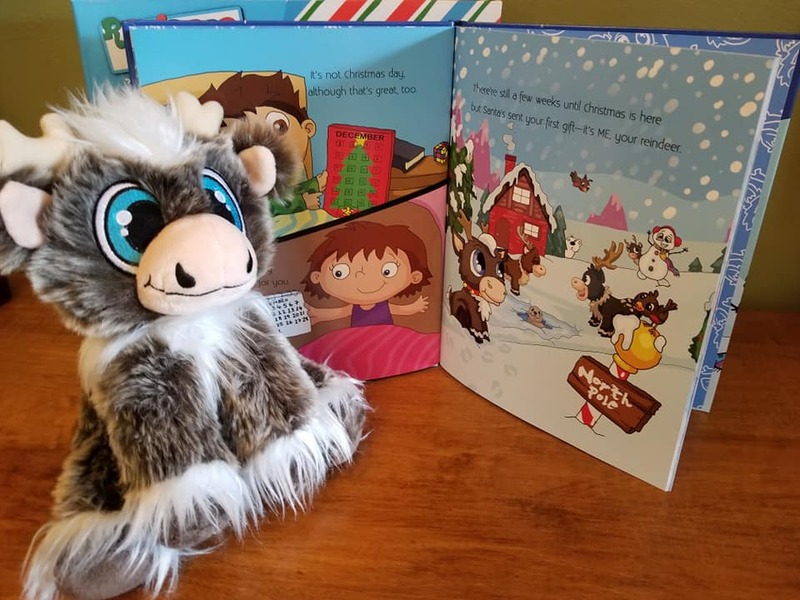 This adorable new Christmas tradition comes in the form of a beautiful story (bound in a book by Adam Reed), and a sweet, soft, and cuddly little plush reindeer. 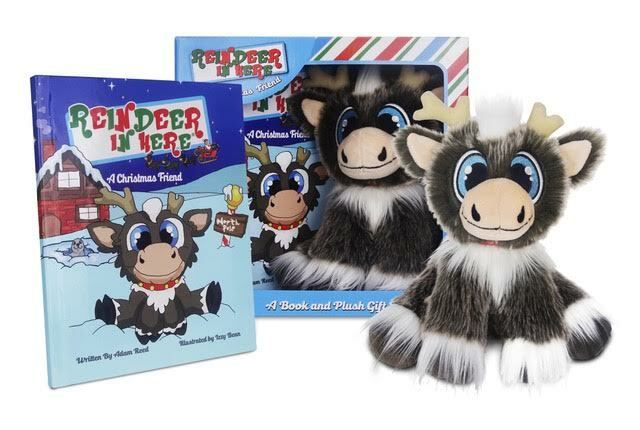 Reindeer In Here comes packaged in a lovely boxed gift set, and is being sold in thousands of stores such as Hallmark, as well as on Amazon (available now!). We've certainly tried out other Christmas traditions, but this one is truly unique. I had the chance to preview Reindeer In Here (my kiddos haven't seen it yet- and won't until the holidays), and am in love with the story, the reindeer, and the tradition itself. Reindeer in Here tells the story of Santa's reindeer- the roles they play in helping Santa not only deliver toys and goodies to children on Christmas morning but help Santa get to know the children and find out what their true Christmas wishes are. The reindeer has an important message which all children need to hear- we're all different, and that makes us so very special. As the book begins, the reindeer is introduced to your child. The sweet little reindeer reminds kids that while Christmas is indeed a special day, so is every other day- a unique opportunity for them to be themselves and to do great things! The reindeer tells your children that he or she will be staying with them during the month of December and that they'll have lots of fun adventures together! 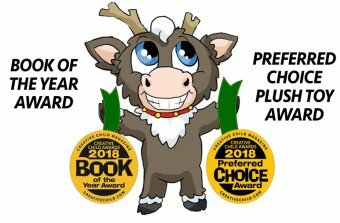 The reindeer also shows children that he/she has a lot of unique friends who all have their own quirks and are all amazingly wonderful- just like they are! One of the reasons I love this story and tradition so much is because it truly focuses on the kids, and even helps parents get to know their kids on a deeper level. As a mom to a 7-year-old, I've already learned the harsh reality that kids can be truly cruel to one another, and have had to deal with hurt feelings in my own child. It really hurts a mother's heart to see her child hurting. 9/10 times, the hurt feelings stem from another child picking on my child because he's taller, bigger or (as is sometimes the case) smarter than the child picking on him. I can tell him all day long that he's special and loved, and our differences make us unique, but it's hard for a child that young to embrace that truth just because 'mom says so.' The reindeer embraces the fact that he/she has one antler shorter than the other... the reindeer is as unique as your child, and therefore, extremely relatable. Isn't this the sweetest reindeer you've ever seen? So huggable! The sweet plush reindeer comes and lives with your family- befriends your child. 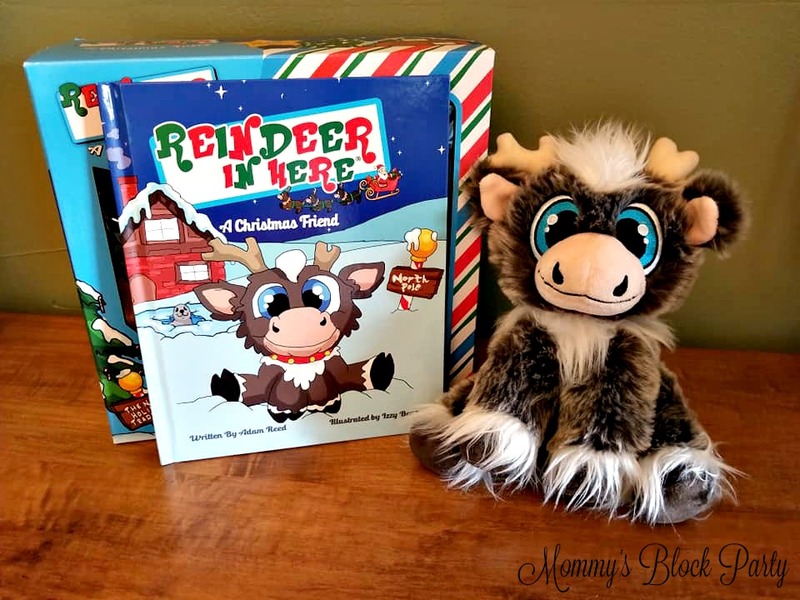 Your child is encouraged (in the story) to name their reindeer, have daily adventures together, cuddle up and sleep together, and explore new places around the house each day. They can even write down the child's true Christmas hopes and wishes together, so the reindeer can take those back to Santa each night during the reindeer's visit. Reindeer in Here has really opened my eyes as a mom. It's a wonderful way to encourage me to reach out to my kids every day and remind them how very special they are- just the way they are. It's also a wonderful way for us to celebrate the uniqueness of every person we meet & show them kindness, no matter what. This is such a powerful, timely message! 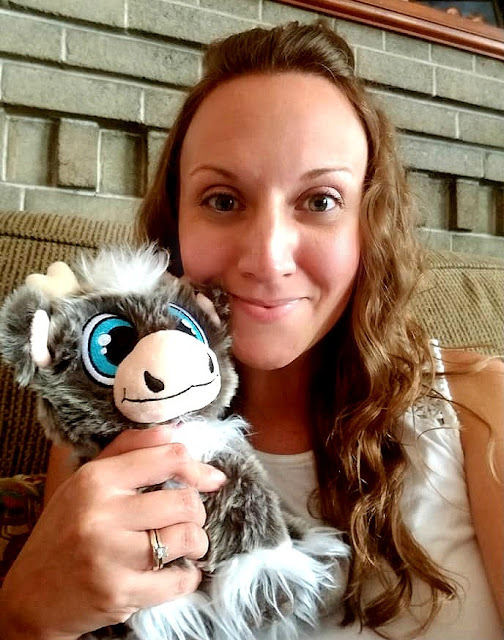 I know my kiddos are going to be so excited to meet and name their reindeer, and that they'll have so many fun adventures together during the month of December. I can't wait to witness (or hear about) some of the fun things they do! The Reindeer in Here gift set will be their very first gift of the holiday season from Santa! It'll also be a gift to mom and dad, as we won't have to stay up late, thinking of silly things for an elf to do! If you've ever had an elf come and stay with you for a month, you know what a headache that can present! I'm looking forward to making beautiful holiday memories with my kids, and our sweet new reindeer friend. Reindeer in Here is available at a variety of retailers and is available now on Amazon. 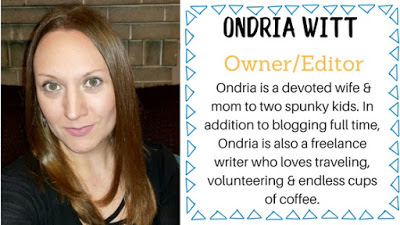 This is going to be a popular trend for the 2018 holiday season, so I'm so thrilled to have had the chance to tell you about it in advance! It's already won several awards, and rightfully so! This is one holiday tradition you'll definitely look forward to experiencing with your family! Be sure to stop by Reindeer in Here to learn more and to stay updated on new products! Connect with Reindeer in Here on Facebook, Twitter & IG. Special thanks to Reindeer in Here for allowing me to share about this adorable gift set and new holiday tradition. Be sure to look for it in our MBP 2018 Holiday Gift Guide! What are some of your family's favorite holiday traditions? We'd love to hear how you'd incorporate Reindeer in Here during the 2018 holiday season!